Funfetti cupcakes! 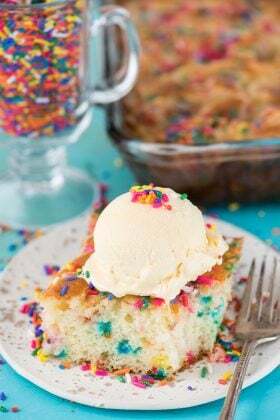 Easy to make funfetti recipe that’s bursting with sprinkles! 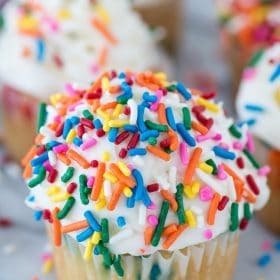 I’m starting to wonder how funfetti cupcakes got their name. White cake with sprinkles somehow turned into funfetti cake. Sprinkle cake would seem a little more obvious. 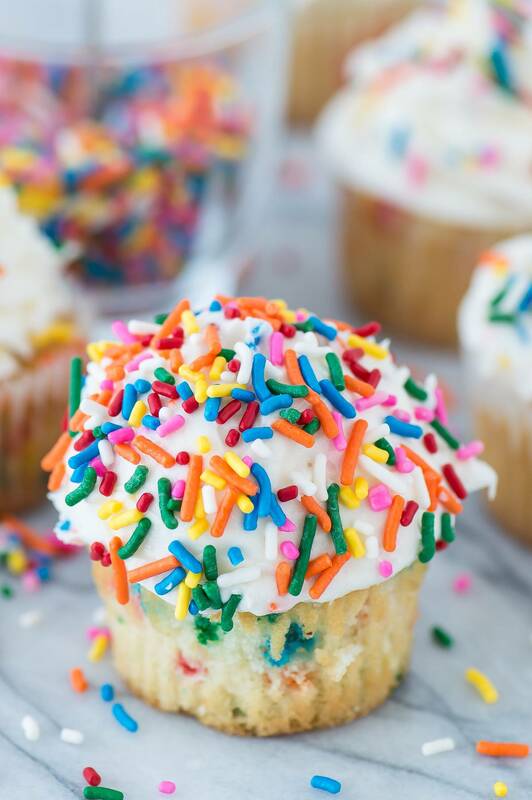 I’m not sure if this is correct, but funfetti seems like it could have been derived from the word confetti.. so even sprinkle confetti cake would make more sense. But someone decided that FUNfetti was more fun then sprinkle confetti cake and it stuck. 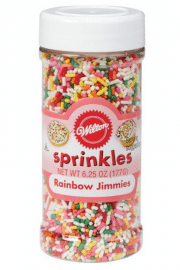 Regardless of the name, there are sprinkles involved. Lots of sprinkles. There is nothing worse than a funfetti cake that is lacking on the funfetti side. 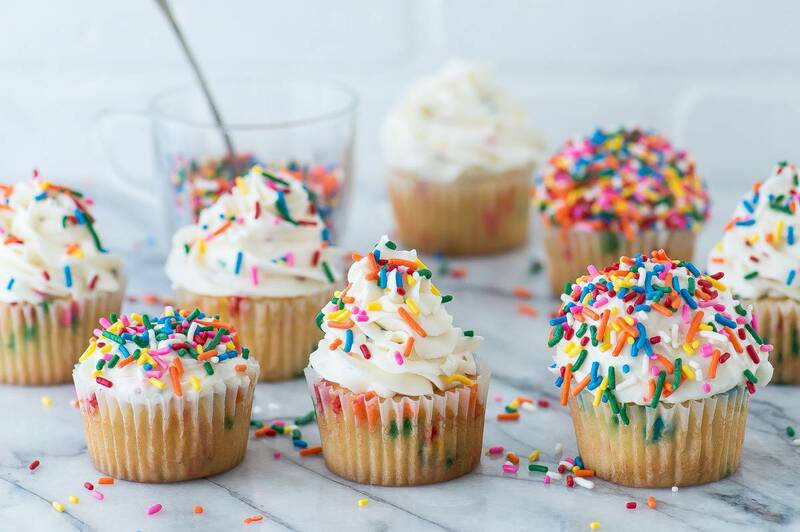 Our recipe calls for 1/2 cup of sprinkles in the batter, plus more sprinkles to top the cupcakes. 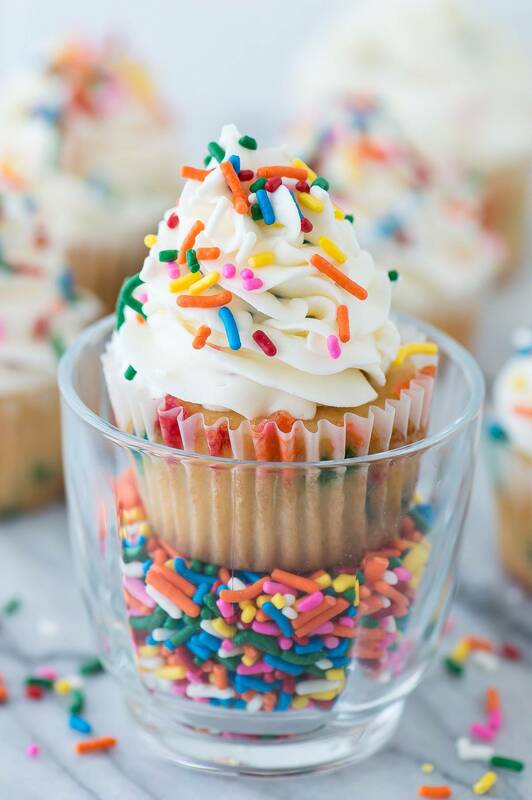 When topping the cakes with sprinkles, you have full control over your desired sprinkle quantity. I’m sure if you let your kids decorate the cupcakes they’ll be on the heavy sprinkle side like mine. I mean have you ever met a kid that didn’t like sprinkles?! 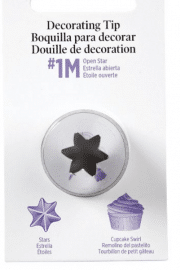 I also wanted to show various options for frosting the cupcakes. 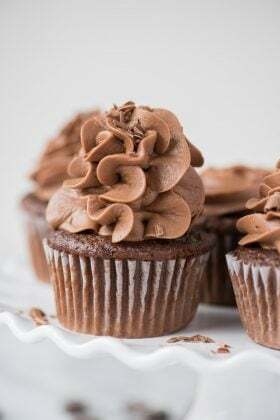 Referring to the image above, on the far left is the simplest method – spread a small amount of frosting on top of each cupcake using a butter knife. The center cupcake, the buttercream is piped on using a wilton 1M tip. The cupcake on the far right does pack a lot of frosting, but I like the perfectly domed look. 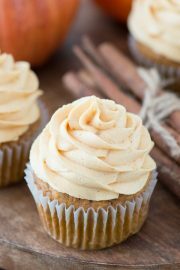 To achieve that look use a large cookie dough scoop, scoop up the buttercream and gently release it on top of the cupcake. The recipe will make 12-15 cupcakes. If you want more, about 30, double the recipe, but I would put only 3/4 cup of sprinkles in the batter instead of 1 cup. The directions say to bake the cupcakes for 5 minutes at 400º F then to turn the heat down to 350ºF and bake for 8-9 minutes. 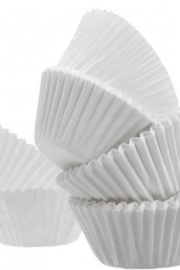 This method will help to produce slightly domed cupcakes and prevent them from caving in while cooling. 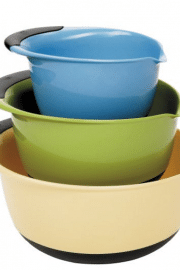 Preheat the oven to 400º F. Line a muffin pan with muffin liners. Fill the muffin liners 1/2-3/4 full. 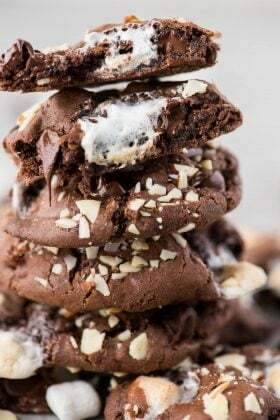 Bake for 5 minutes at 400º F. Keeping the cupcakes in the oven, turn the heat down to 350ºF and bake for 8-9 minutes, or until a few moist crumbs remain on a toothpick when inserted into the center. 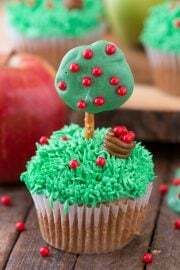 Add the frosting to the cooled cupcakes by spreading the frosting on with a knife, piping it on or using a large cookie dough scoop. Beth these cupcakes are just the CUTEST! 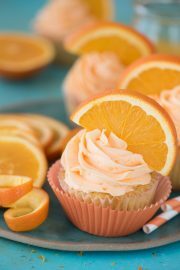 How fun would these be for a summer birthday party?? 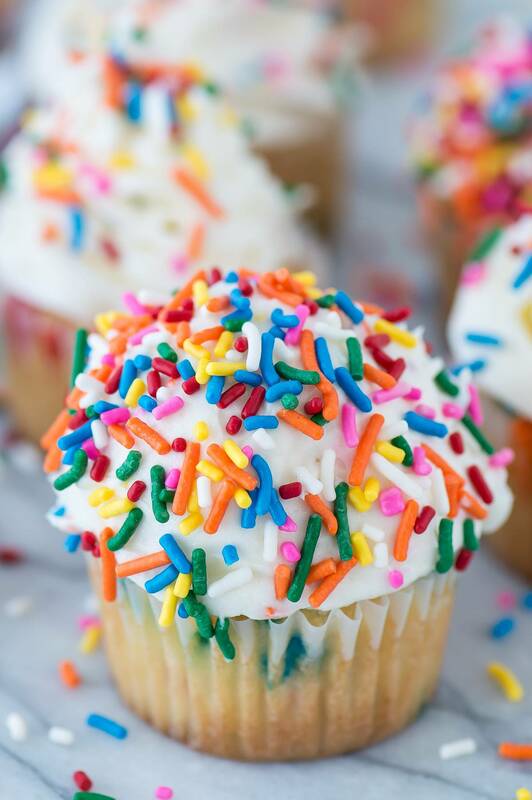 All those sprinkles just call to me! Haha I hear ya! 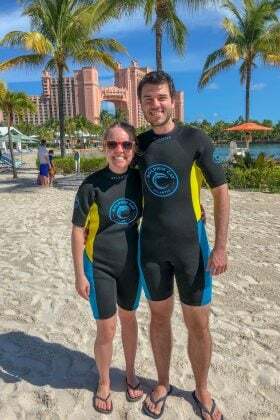 They are calling my name too!